Aloft Hobbies stocks the 27ms CPPM firmware on all XP receivers for improved safety. Another Aloft exclusive. Warning: HS mode is only applied for high-speed digital servos. Other servos should select FS mode, otherwise servos will get hot and may burn out. FrSky V8FR-II HV 8 Channel High Voltage Receiver. 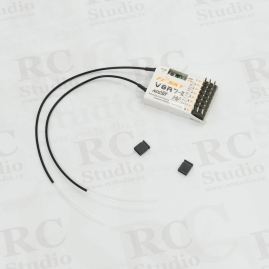 Compatible with both V8 (non-telemetry) and D (telemetry) modules. 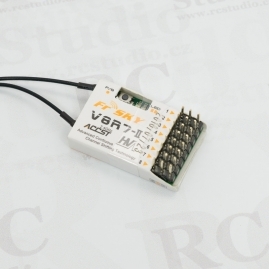 FrSky V8R7-II HV 8 Channel High Voltage Receiver. FrSky V8R4-II 4 Channel Park Flier Receiver.